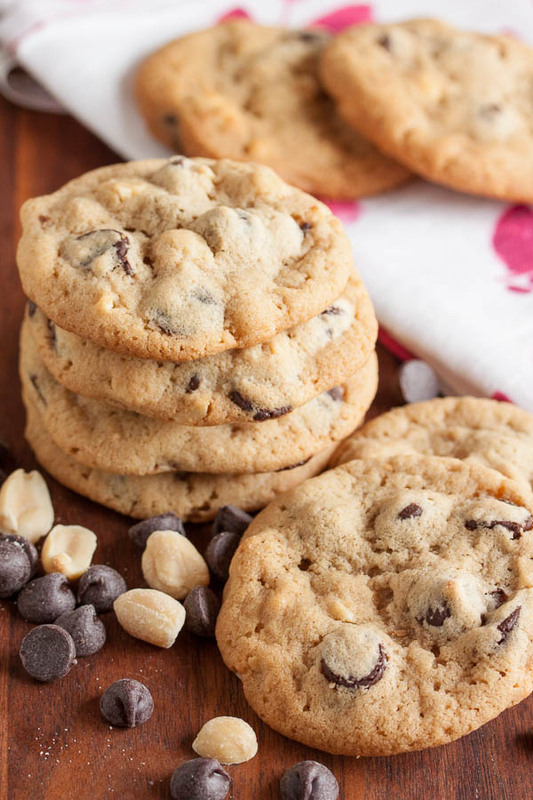 Peanut Butter Chocolate Chunk Cookies | wanna come with? 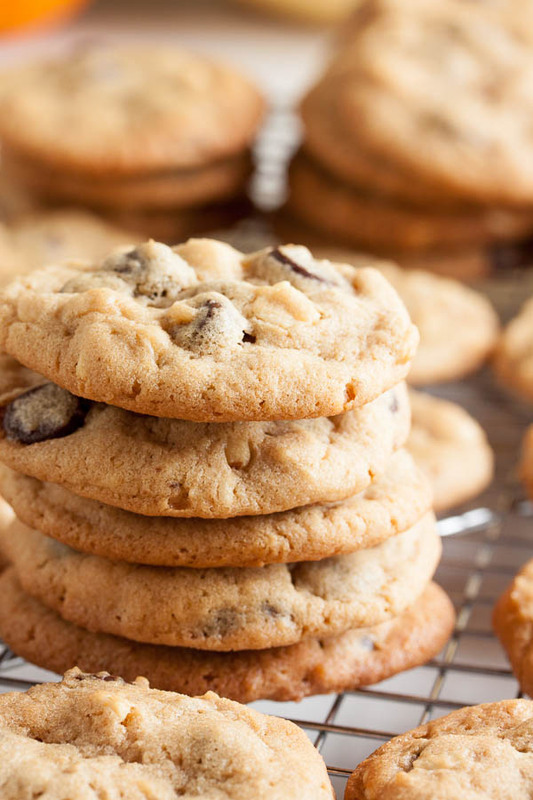 Last week’s macadamia chocolate chip cookies were a big hit – one of my coworkers said they were his second favourite of all the cookies I’ve made to date (yay!). But while they included peanut butter chips, the peanut butter flavour isn’t very apparent. 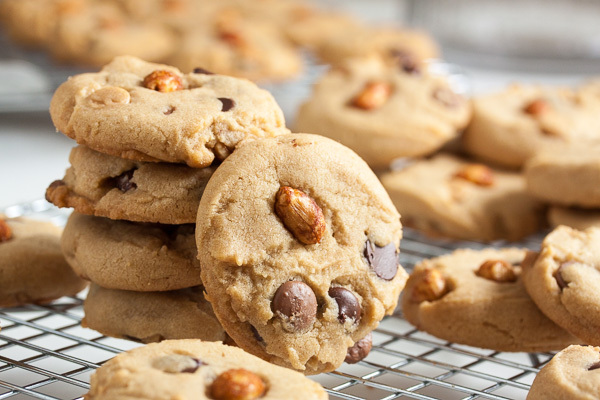 A few people asked “are you sure there’s peanut butter in here?” But that was fine, because peanut butter wasn’t supposed to be the star of those cookies – it was the combination of macadamias, chocolate, and peanut butter chips. But still, I thought for this week I should go the other direction, and make it all about the peanut butter. Plus chocolate chips, of course (I’m not a barbarian). 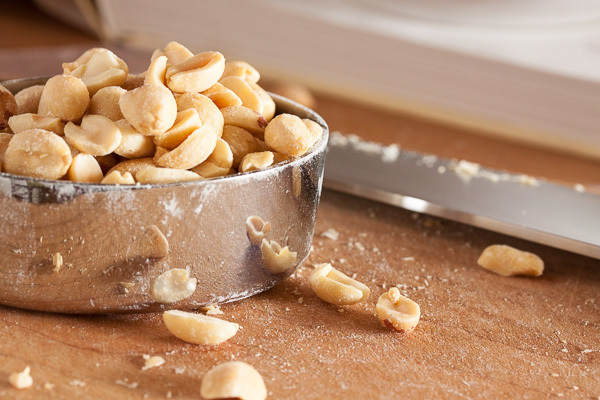 In addition to all the peanut butter, this particular recipe calls for a mix of both peanuts and cashews. I didn’t have any cashews, though, so I just doubled up on the peanuts. They turned out great, of course, but I imagine the cashews would have added another dimension of flavour to these cookies. If you have cashews, or if you’re planning to go shopping to get the ingredients anyway, I think it would definitely be worth trying. I wasn’t prepared to go out just to get that one ingredient though, so I made do with what I had. I also upped the amount of chocolate – the original recipe specified 7 ounces (slightly more than a cup), but I used 1-1/2 cups. 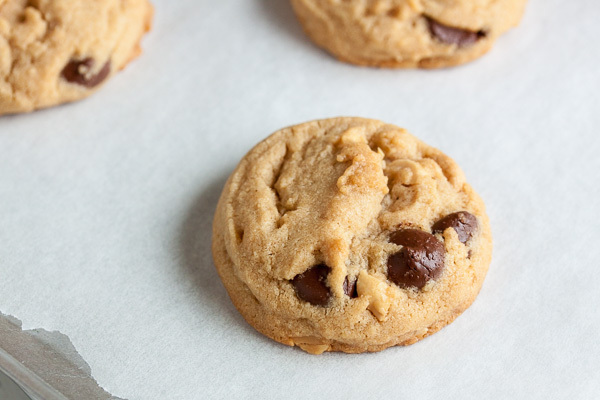 These cookies spread out as they bake and come out of the oven quite puffy, but they flatten out as they cool. 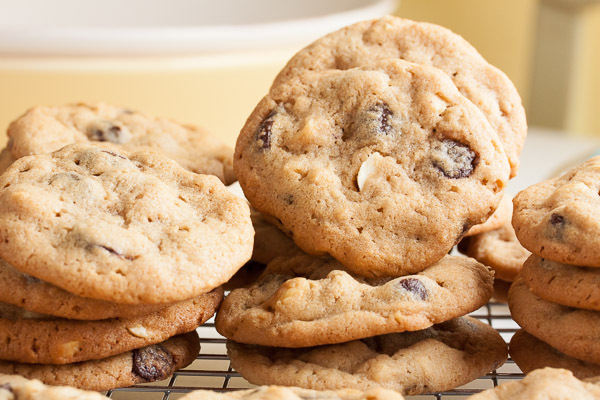 The finished cookie is slightly crispy on the outside, and soft and chewy inside. Definitely great peanut butter flavour, with some crunch from the added nuts. 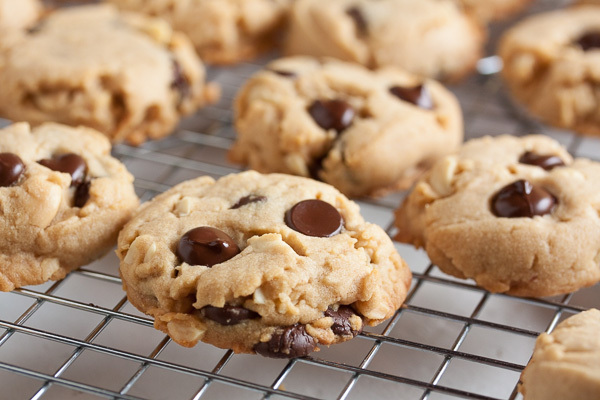 There’s enough chocolate chips that you taste them, but they don’t overpower the peanut butter. First and foremost, this is definitely a peanut butter cookie. Adapted from The Good Cookie by Tish Boyle. I got 70 cookies using my usual slightly larger than tablespoon-sized cookie scoop. In the bowl of a stand mixer fitted with the paddle attachment, beat the butter and peanut butter together on medium speed until creamy. Add the sugars and continue to beat on medium speed until light and fluffy, about 3 or 4 minutes. Scrape down the sides of the bowl and add the eggs, one at a time, beating well after each. Add the vanilla and beat again to incorporate. Turn the mixer down to low and add the dry ingredients, mixing until just barely combined. Remove from the mixer and add in the chopped nuts and the chocolate, either with a spatula or by hand. I prefer to knead inclusions in by hand to ensure they're distributed evenly. Cover the bowl and let the dough stand for about 10 minutes (I just let it rest while I washed my dishes).